The Rodeo Bull requires a standard 13a household socket (Standard in every UK home). A generator can be supplied for bookings without access to a power supply. To order a generator please click HERE. We will supply power cable up to 50 metres (free). 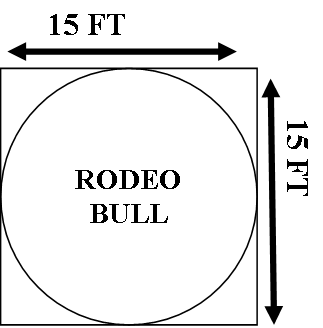 The Rodeo Bull requires a clear square area of 15x15ft and 10ft headroom. 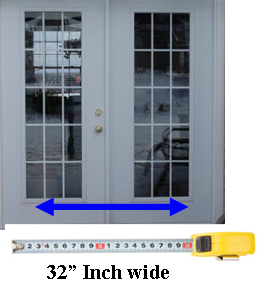 32 inch access through doorways, gates and corridors. It is not possible for the equipment to be lifted over walls or fences. The image below is an example of the access required. When riding the Rodeo Bull there is no minimum age. 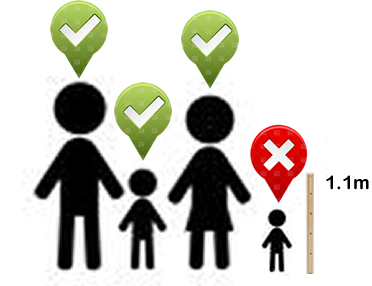 We require all users to be above the height of 1.1 meters regardless of age. We have had many Schools and similar book the Rodeo Bull without any issues.